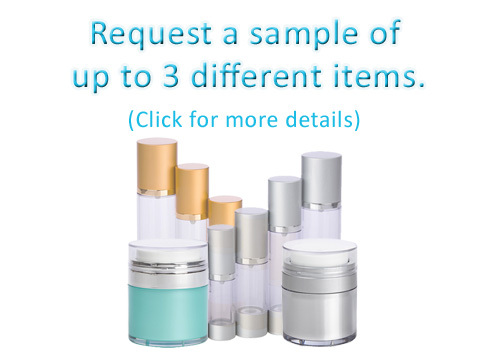 The perfect package for your lip balm, solid perfume, body balms, cuticle creams and more! 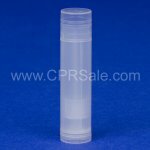 Convenient twist-up base propels and repels, allowing your product to dispense evenly. Holds 0.15 ounces. Available in white or natural with round base and cap. 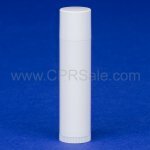 Made of polypropylene with 35% post-consumer recycled material; the tube is recyclable - recycle code #5. 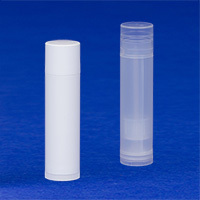 We can also produce custom labels for your lip balm project in-house. NOTE: Maximum filling temperature is 120o F. Use caution when filling as a solution too warm may warp the plastic and/or damage the mechanisms. Filling too hot may also cause leaking. 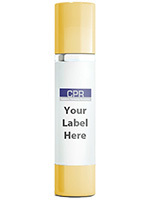 We strongly recommend that our customers conduct Compatibility Testing with their formula and our package.